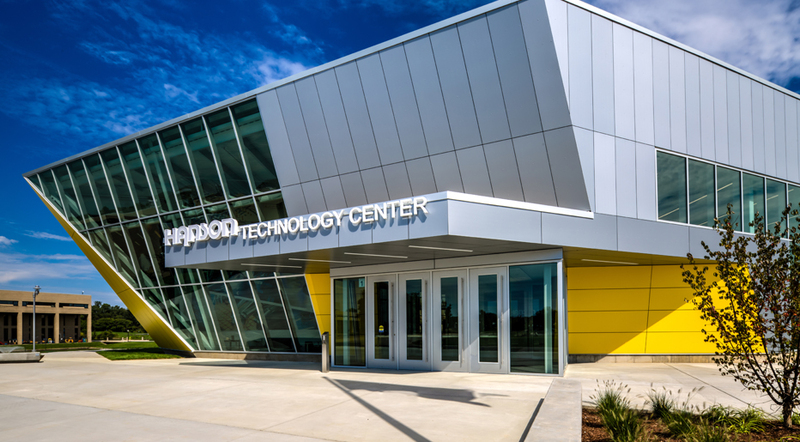 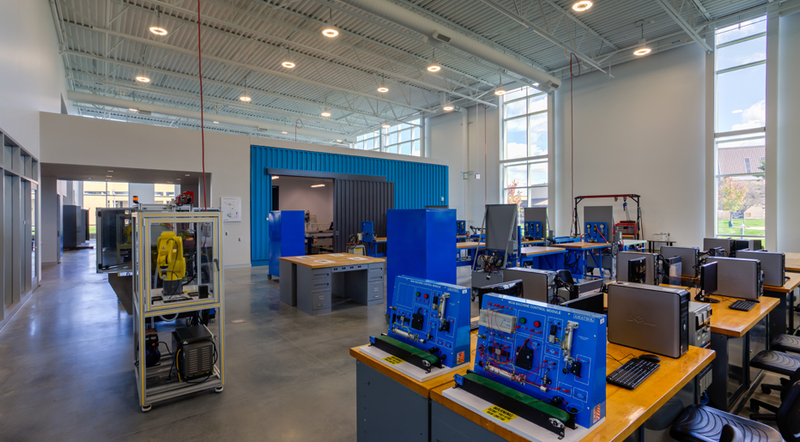 With its innovative design, open and flexible classrooms, and state-of-the-art labs, the Hanson Technology Center is leading the way in advanced manufacturing education and skilled-trades training. 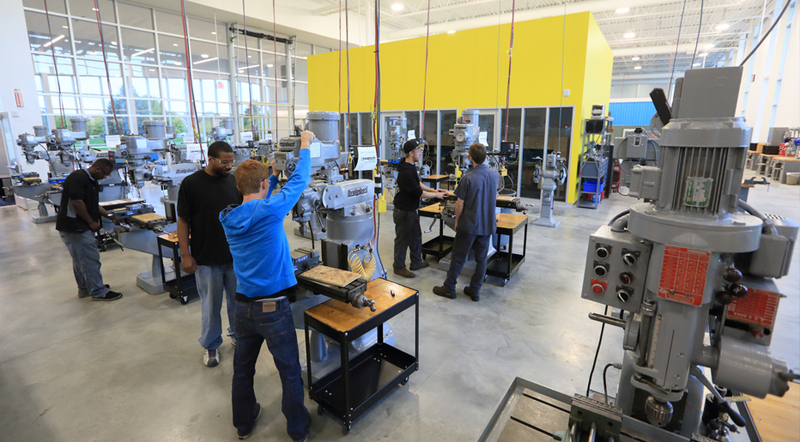 The high-tech learning environment is home to a host of courses including fabrication, welding, electronics and machine tool. 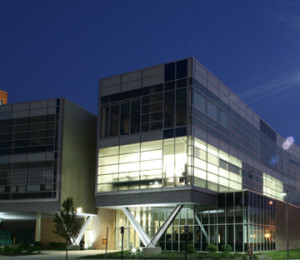 The facility also houses one of the few large-scale interactive Simulation Labs in the country. 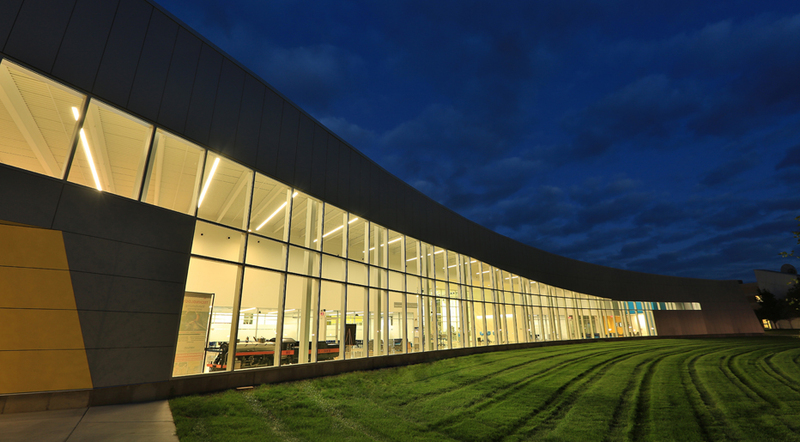 Innovation, transparency and flexibility were key design elements of the facility. 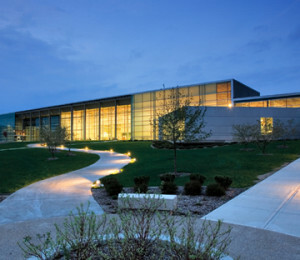 In its unique shape, the building’s glass and metal façade simultaneously leans into the future while reaching outward in a signal of welcome. 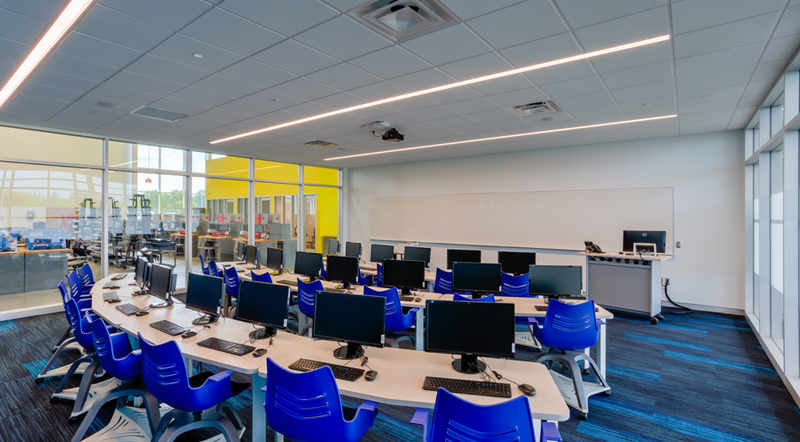 Floor to ceiling windows provide clear views between classrooms, lab areas and common spaces. 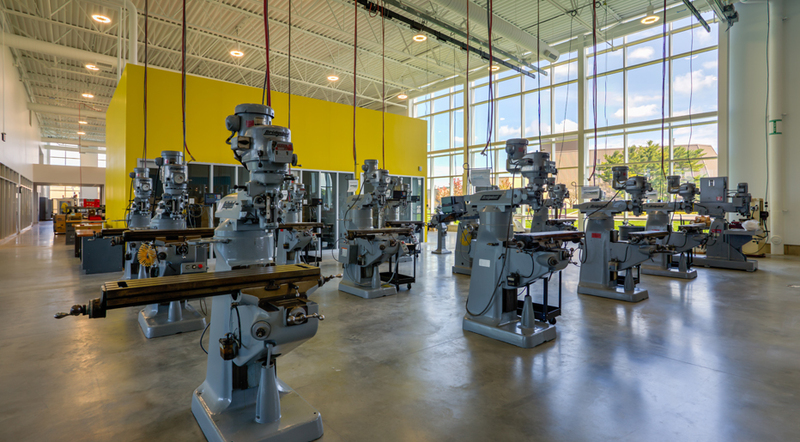 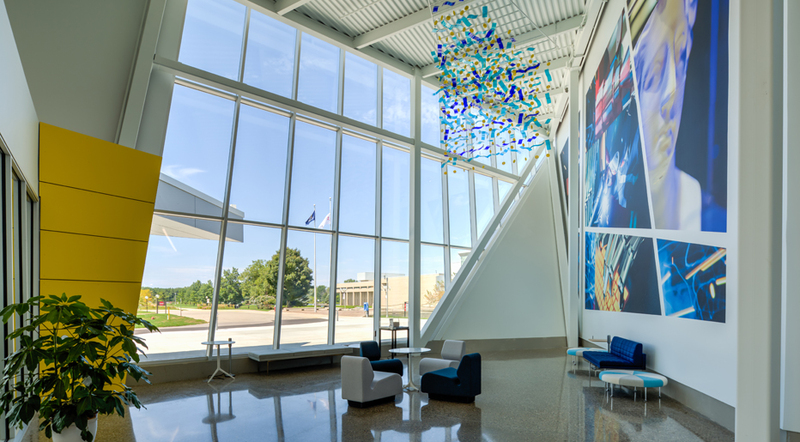 The flexible design of these spaces support evolving educational pedagogy, technological advances, and changing needs in advanced manufacturing. 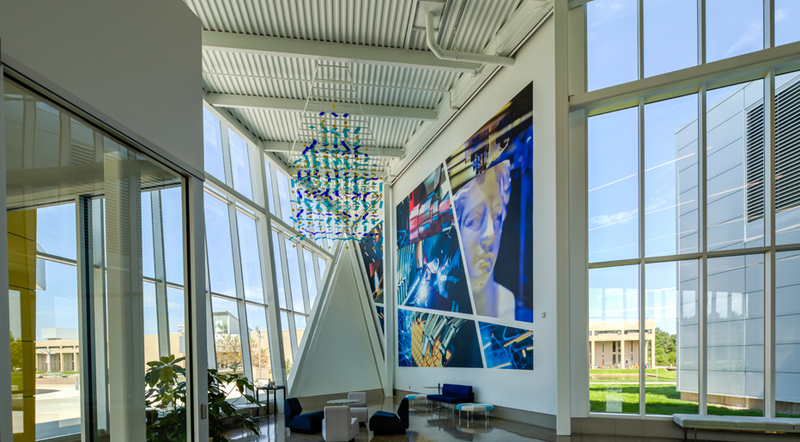 Students will find collaboration areas throughout the facility that inspire teamwork, support diversity of thought and encourage innovation. 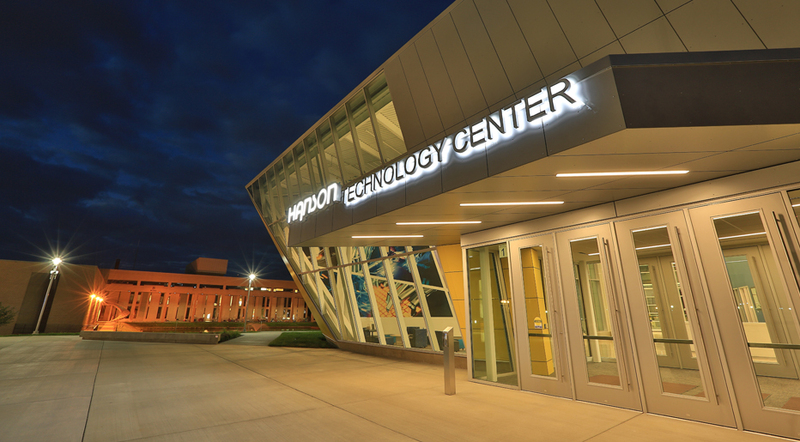 The center is equipped for efficiency, both environmentally and financially. 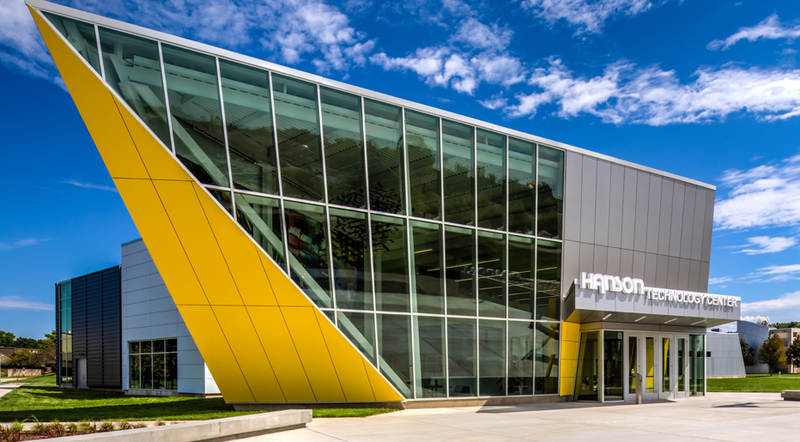 Heating and cooling needs are met through use of a natural geothermal loop that brings water up from the ground to be heated or cooled, depending on weather conditions. 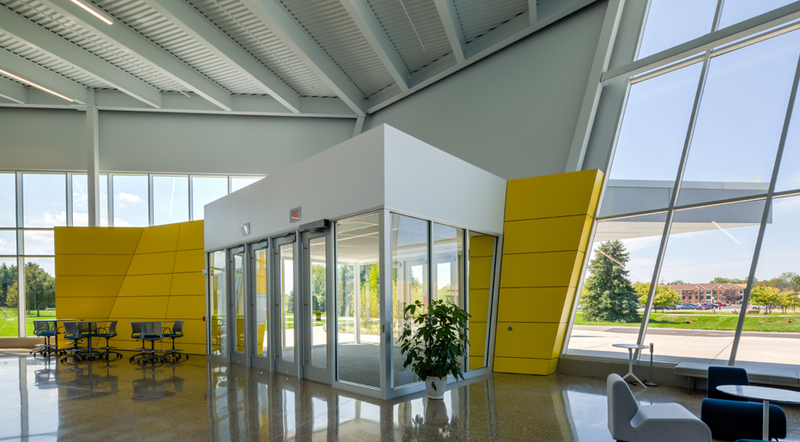 Additionally, large exterior windows provide natural lighting that cuts down on electricity needs. 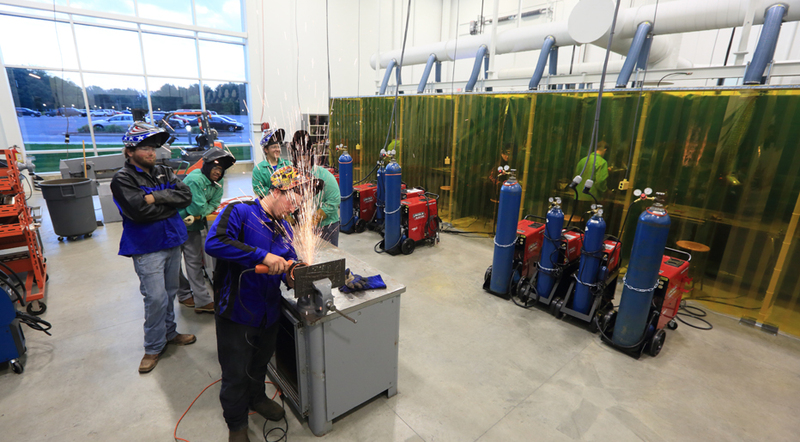 Four high-bay state-of-the-art labs including: fabrication, advanced manufacturing, and welding. 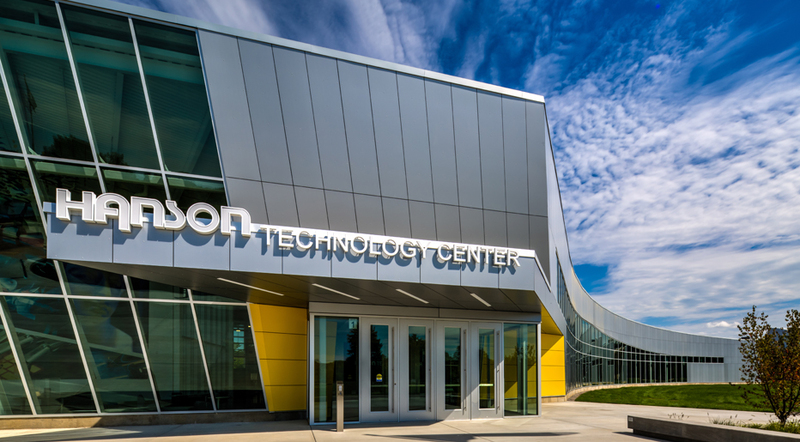 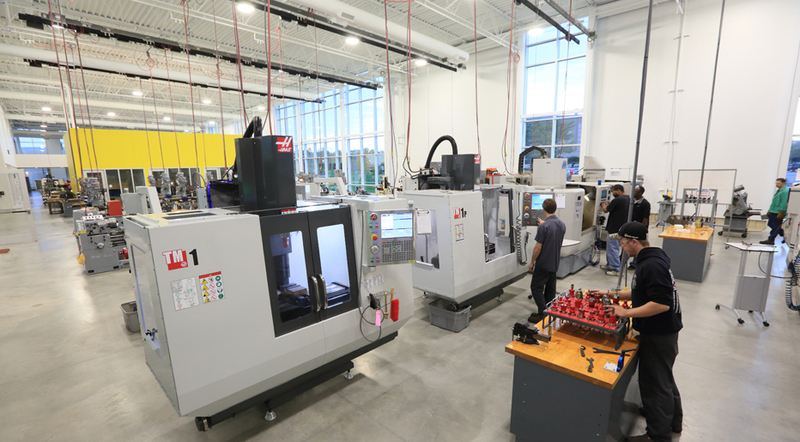 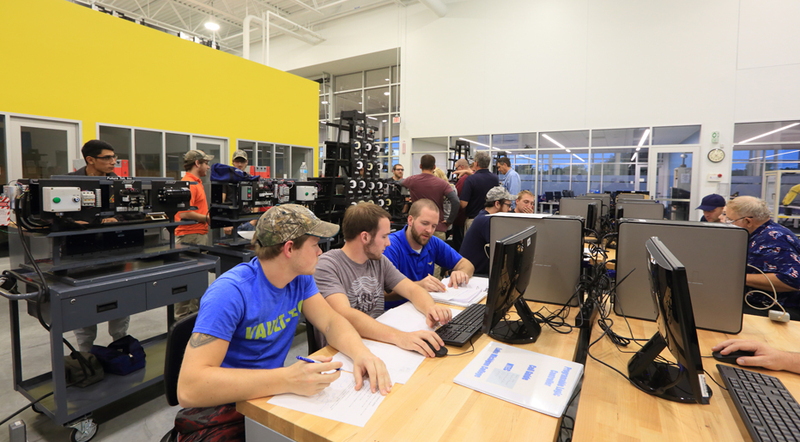 The Hanson Technology Center at Lake Michigan College defines the future of advanced manufacturing education and skilled-trades training. 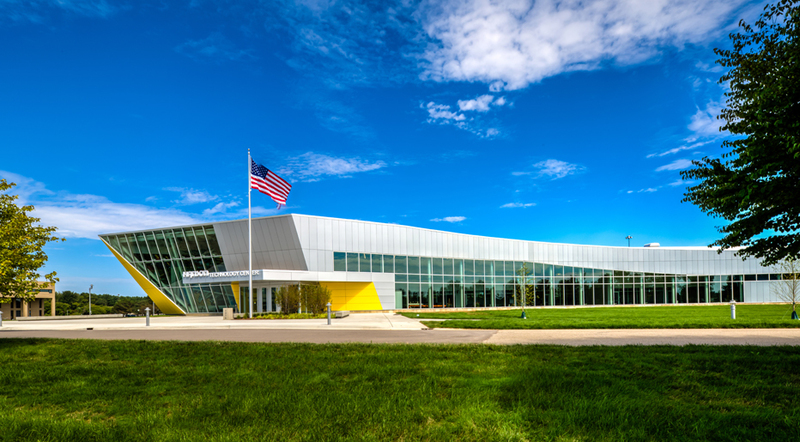 By providing a steady stream of qualified, ready-to-work employees, the new facility will be critical to the success of advanced manufacturing companies in the region and across the country. 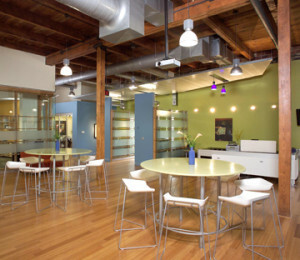 Strategic Insights A Learning Facility's Influence on Outcomes: Have You Assessed Yours Lately? 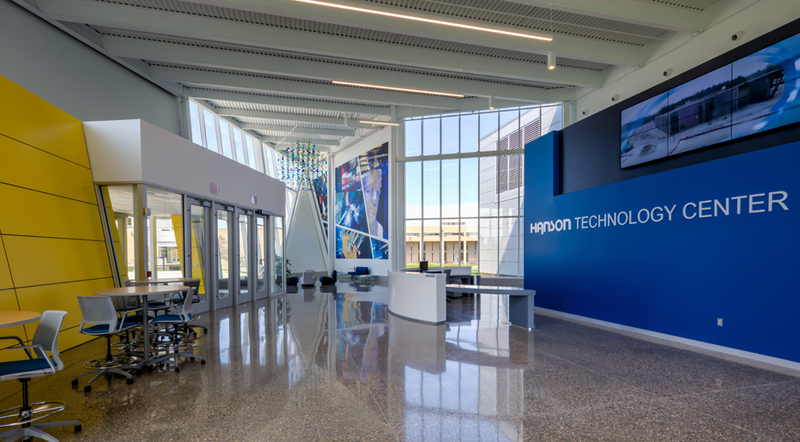 With shrinking resources and budget limitations, it is critical to understand the utilization and condition of your current facilities and infrastructure. 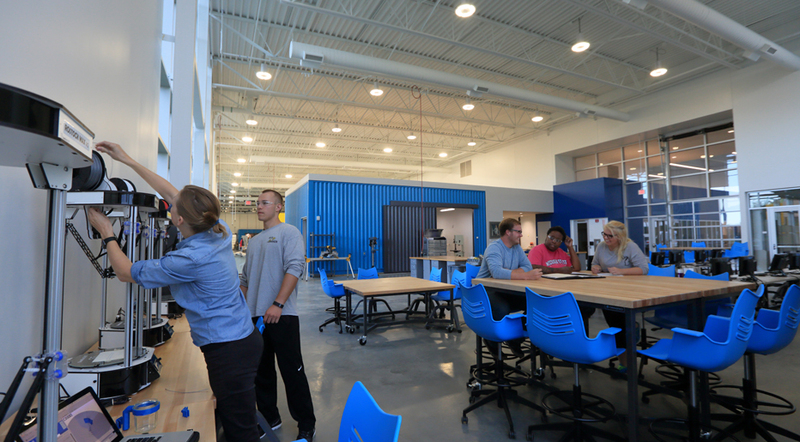 How do you create spaces that meet both the needs of the programs and the needs of those using them? 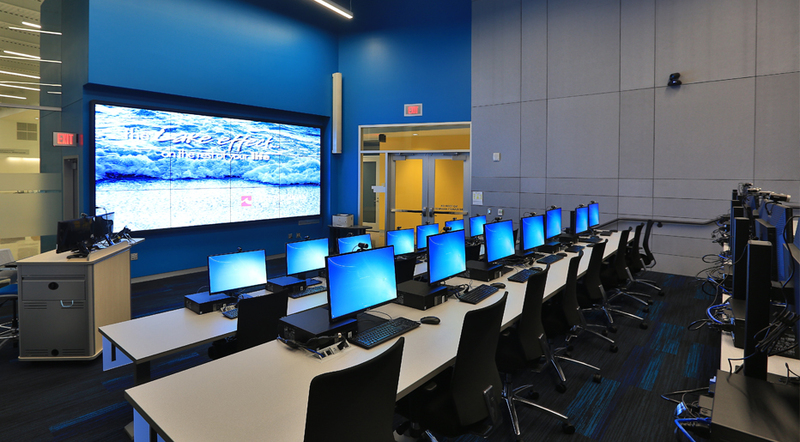 Campus master planning is a methodical process that includes analysis, benchmarking, visioning and aligning the institution’s stakeholders. 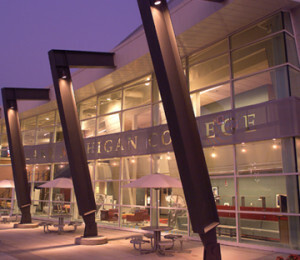 In the competitive marketplace of higher education, dining facilities are a significant component in recruiting and retaining students to a school.